What I love: My son loves to ride his bike and recently grew from his 16 to a 20". We love to ride around near our house and also there is a large bike trail nearby that he enjoys riding. The only problem is that if we are out on the trail and something happens to his tires it can end up being a huge hassle. 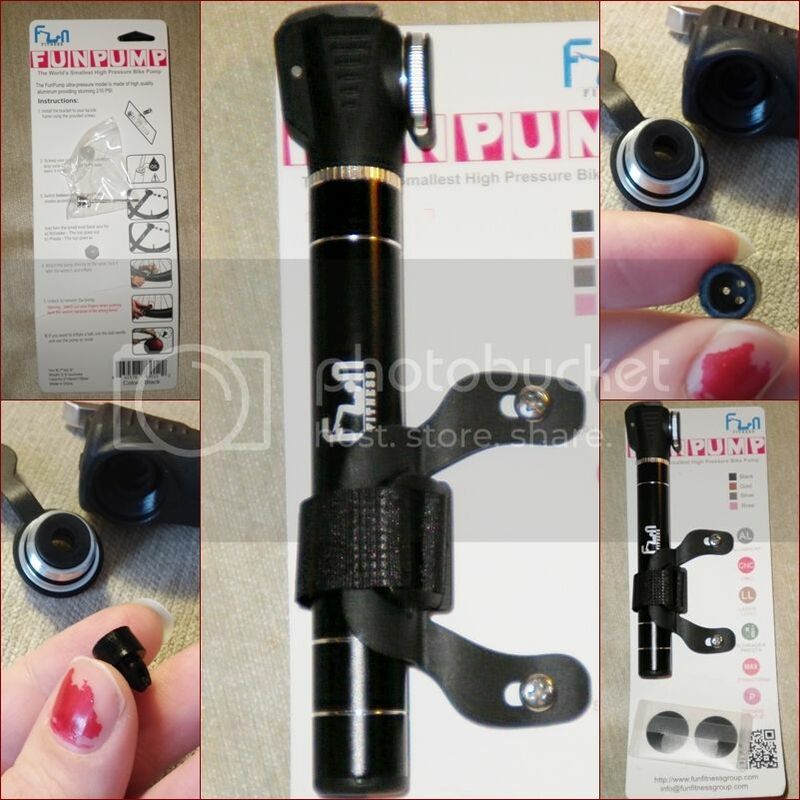 Luckily for us I found the Mini Bike Pump by FunFitness. Available in multiple colors I chose the black mini pump because it will look nice screwed onto his bike and not stand out or impede bike performance. When it came i was surprised how small and lightweight it really is. It's only 6.7" long and weights only a little bit more than a pen. It's very comfortable to hold and pump for my hands. It comes with the pump which converts from schrader to a presta mode, a bracket for the bike, a tire patch kit and a ball needle. Most of your valves you are pumping are going to be schrader, so the concave end will stay facing out, it comes packaged set for this valve. To use it for a presta valve simply unscrew the outer metal and plastic ring and pull the center piece out, replacing it back in the hole with the concave in and replace the ring. I first tried it on my son's bike tire, which was brand new tubes. It took quite a while since it was brand new but after I got the hang of it and a rhythm down it worked perfectly. I tried it then again on a ball of my daughters and it had no problem blowing it up with ease. I love that it's no extra weight to carry it with us. This is a great mini pump and I highly recommend it.